Dr. Straface joined Medrobotics in March, 2009 after serving as an Executive-in-Residence at The Pittsburgh Life Sciences Greenhouse, an incubator in Pittsburgh Pennsylvania, where he led a portfolio of life science companies with business formation, development and financing. Previously, he was the founding President and Chief Executive Officer of Triton BioSystems, Inc. (now Aduro BioTech, Inc.), a targeted nanobiotechnology company developing low side-effect highly selective therapies for advanced cancers such as head and neck, breast and prostate cancers. 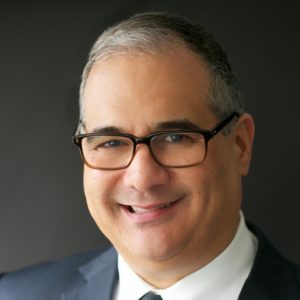 Dr. Straface has 25 years of experience in global sales, marketing, business development, venture financing and general management at several companies, including Boston Scientific Corporation, and Johnson & Johnson. He began his career as a Scientific Officer, researching the neurophysiology of the retina and methods for early diagnosis of neuronal disease. He holds a Ph.D. in neurophysiology from the University of Western Australia.